A prize-winner from the moment she picked up a camera, Thelma Kent avidly photographed the New Zealand landscape, offering an independent and distinctive view. 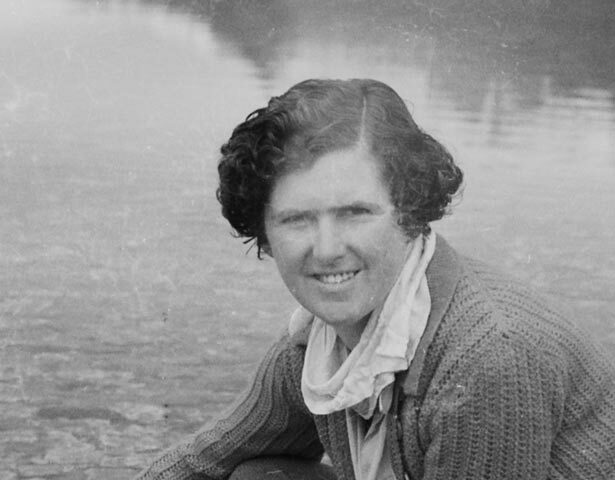 Born in Christchurch in 1899, she was given a box camera by her uncle in 1914 and won a newspaper photographic competition, using the prize money to buy a newer camera. Her early photos were of school friends, but as her interest grew she concentrated more on pictorial work. She had an affinity with the New Zealand landscape and the outdoors, spending several months of the year touring New Zealand, travelling by car, on horseback and on foot. She had a particular interest in the high country of the South Island and made frequent tramping trips through the area. Kent’s photographs were often pictorialist, a popular genre at the time, but her approach was broader than that. Her photographs were exhibited and published internationally, and won many awards. Her own articles and illustrations appeared in the Auckland Weekly News and the New Zealand Railways Magazine. Kent was made an associate member of the Royal Photographic Society of Great Britain and elected a fellow of the Royal Society of Arts, London. She promoted photography through articles and lectures, and in a series of radio talks. She carried out photographic work for the Cawthron Institute, Nelson, and for the Canterbury Museum. After experimenting in her home laboratory she became proficient at microphotography, working for Christchurch Hospital and Canterbury University College. In her own garden she created a detailed photographic series showing the life cycle of the monarch butterfly, photographed on colour slides as well as in black and white. Kent died from cancer at the age of 46 at Christchurch Hospital, with her extensive collection of negatives and prints donated to the Alexander Turnbull Library in 1948. We have 7 biographies, 4 articles, related to Thelma Kent.